Summer is almost over for most of the country but here in Arizona we have a few more months. So when we received a bottle of Sonoma Syrup Co Lavender Simple Syrup we knew we wanted to create a refreshing recipe. Early on, we thought to do some sort of cocktail. Then in dawned on us, that this syrup would be delicious in a popsicle recipe. 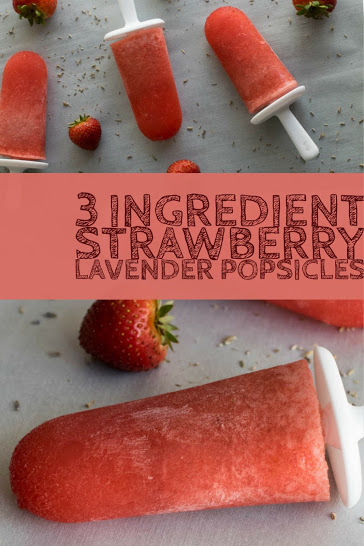 Thus our Strawberry Lavender Popsicle recipe was born! The inspiration for the flavor combination of strawberry and lavender actually came from one of our favorite cocktails. Here in Scottsdale, Counter Intuitive has a drink on their latest menu called the Loverzall. It features: Strawberry Jalapeno Jam, Peychaud’s Bitters, Demerara, Lavender, Azunia Blanco Tequila, Fernet Branca, and Cointreau. Wanting to make a popsicle recipe that was simple and not boozy (hey we don’t always drink), we took 2 of our favorite component and voila! 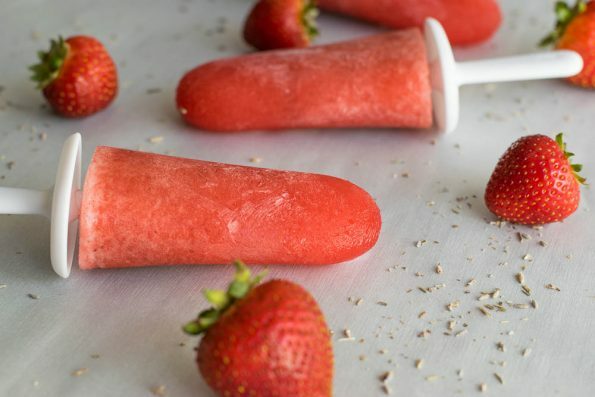 This Strawberry Lavender Popsicle recipe is super easy to make and tastes delicious! What are some of your favorite popsicle flavor combinations? Have you tried any of Sonoma Syrup Co’s other flavors? What was your favorite? Inquiring minds want to know! Leave a comment below or use the hashtag #GeekEats! Combine all ingredients in food processor and puree. We use a Koji 6 pop mold and this made exactly enough. *The Geeks were given product samples by The Sonoma Syrup Co to facilitate the creation of this recipe; However, opinions are wholly our own. View our Disclosure Policy for more info.